At Moocow, we pride ourselves on having the most up to date knowledge on the latest web news, tips and trends. With technology and techniques developing daily, Moocow are continuously working hard to help find new ways to develop your business. 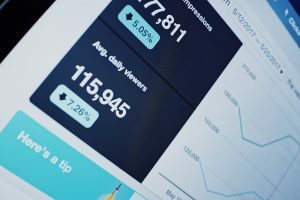 Myths in SEO are often formed when people are not up to date with their SEO knowledge, or when businesses create SEO ‘tips’ that are a con to get you to pay out big money for techniques that don’t really matter all that much. Since the turn of 2018, we have seen rapid changes to the way SEO works across many web design platforms. Below we’ve cleared up a few fibs you might have been told previously in regards to your website’s SEO. There is a great deal of focus put on keywords, however they may not be as important as many think. They are useful too have but do not necessarily need to be your primary focus. It’s a case of still having them but not making them the full focus. It’s still important to use keywords in meta descriptions tag lines and titles on your web pages, however there are a ton of other important ways that can get you discovered quicker. It is no longer possible to reach the number one spot for a certain keyword due to the way Google has recently changed the way their rankings work. Unless you’re a big corporation like Apple or Coca-Cola where your search results would automatically lead you to a top spot, you can no longer predict what will be at number one for a particular keyword search. You could type in ‘mobile’ into Google search one day and it come up with a bunch of info on mobile first, but the next day it could just as likely come up with a page on baby toys. It’s a common misconception that link building is “dead” however this just isn’t so, and has been largely discussed by companies such as Moz and Forbes. If anything, it’s link farms that are dead. According to Moz, using anchor text and links to “topic-specific”sites will still help to attract traffic to your site. The more attention your site receives, the easier it will be for Google to rank it higher in search engine results. Working alongside other companies through social sharing can benefit your company awareness greatly also. Despite what many companies would like to brag, no one can guarantee this. And this is the sort of con to watch out for when looking for a company to help with your SEO. A reliable SEO company will be able to work with you to make your site consistently popular on Google and improve its rankings. This will not necessarily mean being able to achieve that number one spot. When it comes to getting help with your SEO, look for honesty over false prophecies. You don’t want to be left out of pocket and without the results you wanted to achieve in the first place. This really isn’t necessary, as although the importance of keywords are still relevant, it’s still only a minor part of what helps rank your website. It makes sense to have your primary keyword featured across your whole site, as that’s what Google picks up and makes searches relevant to your business. You don’t need to bother creating a ton of background pages each with different keywords, as it’s likely to make your rankings more confusing.